If you have been planning the Visitor Visa Application, it is always advisable to pick prime global destinations that can overwhelm you with joy and fascination. When we talk about such places, the hotspots of the US, the UK, Singapore, Hong Kong, Australia, Canada, etc., at once crop up. All these places are amazing overseas destinations, but it is perhaps Canada or the Maple Leaf Country that will redefine your vision the most for exploring beautiful scenic beauties and some other notable attractions. For the purpose of exploring the picturesque sights, varied flora and fauna, you can use the Visitor Visa to move to this very popular and extensively visited destination. The Visitor Visa Application is simple and promising. If you are planning the Visitor Visa Application, it is always advisable to have expert immigration agents onboard. With such professionals, you can easily move to the Maple Leaf Country with efficiency and inside a short period of time. What’s more: you do not have to worry about the fate of your application, as that’s the job of the experts who could be handling your case. How to Proceed with Visitor Visa Application? The Immigration, a Refugees and Citizenship Canada (IRCC), the concerned organization that regulates the visa application process, offers a customized opportunity to the travelers to explore the nation with ease. In order to simplify the application process, the IRCC has incorporated several new rules where the e-Visitor visa can be given electronically. The application has been solely made through digital gateways. In the application process, the aspiring visitor must have digital signatures, a retina scanner and other electronic copies of documents. With all the prescribed documents, they can apply for the e-Visitor Visa electronically. Such an application can easily save the considerable amount of time. As the application has been streamlined on the net, you can use the Visitor Visa Application form online even as with the confines of your home, an application can be facilitated electronically. On the other hand, if you wish to have Visitor Visa Application, but you want old classical visa application ways, provision for application on paper is also possible. In the application through a paper, the aspiring immigrant will have to attach all relevant documents, like; for example, bank certificates, character certificated, and visa type through the paper, and send it to the Canadian consulate. After analyzing the application and completeness of the application, the concerned visa & immigration officials will verify and finally take necessary calls for the applications that they receive on a daily basis. 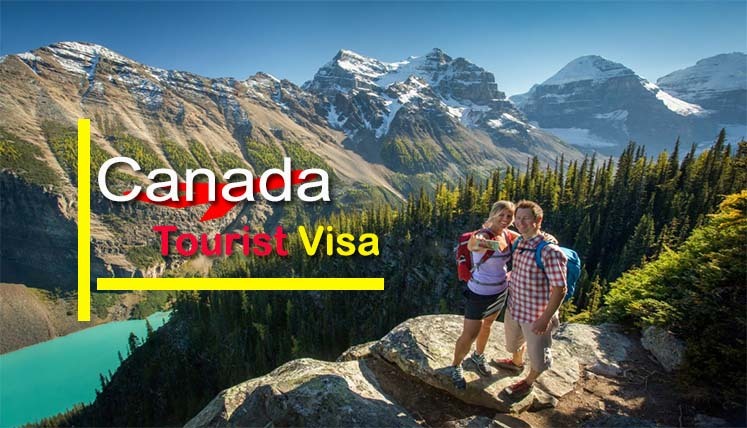 These are few ways to get Visitor Visa Application to Canada streamlined as per the IRCC guidelines. Use the information to make your move and land in the haven very aptly called Canada. Write to us at web@abhinav.com or call us on +91-8595338595 for more information on the visa you are looking for.